Once again I was back the incredible. To get you goin I'm not forgettable. I heard you on the radio. about how we actually sample. Think we'd let you get away with that? You said it wasn't art. Sou now we're gonna rip you apart. Cause I'm not a great pretender. But tell me what you wanna do, whatever I can. But getting busy with the crowd. Movin it up and down. Everybody was rockin bang bang. The boogie to the boogie said I'll join you. Boogie to the bang bang. Baby lets rock, you don't stop. Rock the rhythm, gonna make your body drop. The miracle man is back on the microphone. Because I wanna make you go in alone unknown. This is the rhythm the rhymer's wisdom. Whatever happens the rhyme is your business. Me and the boys, the Buzzy Bus crew. Back on the scene, we'll show you what to do. Everybody in the halls, jump up the walls. Because I'm ready to rock, enough to break your balls now. The beat is wackin, the bass is slappin. Don't wanna see you sitin the sofa relaxin. But its fantastic when you're dancin. Freestylin, but not collapsin to my beat. Because you rockin to the the rhythm of the boogie to beat in me. I'll give you a shot before you droppin them ??? This is the end so don't you dare stop. 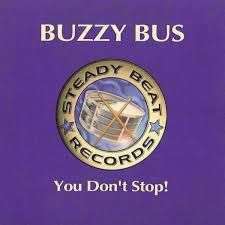 Buzzy Bus Featuring Andrew M.